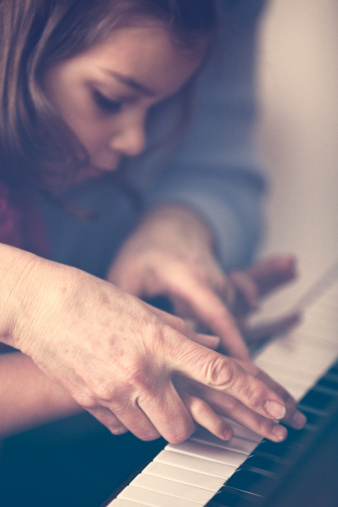 Why Do Our Children Quit Piano Lessons? Have you ever heard somone say, "I used to take piano lessons as a child, and I wish my parents would have never let me quit"? I'm guessing that you have at least once. If a child doesn't practice on a regular basis, they begin to think, "I just don't think he/she is really into music. I think that's why it's getting harder and harder to get him/her to practice." In reality the child needs to have fun playing music, which is the responsibility of not just how we teach, but what the teacher is teaching. Also, children are more likely to practice because it's fun, and though it's important to learn to read, in the beginning we should focus on enjoying playing music, and the reading will follow. Once we realized that students were motivated so differently, we created programs that would help them have fun and be motivated to practice outside of class. Here is my only disclaimer: Kids and adults inherently do not want to struggle, but anything in life that is rewarding requires it. Hope this helps! Give us a shout with questions. You are always welcome to try out one of our demo classes to see what motivates your child when it comes to learning and practicing the gift of music.